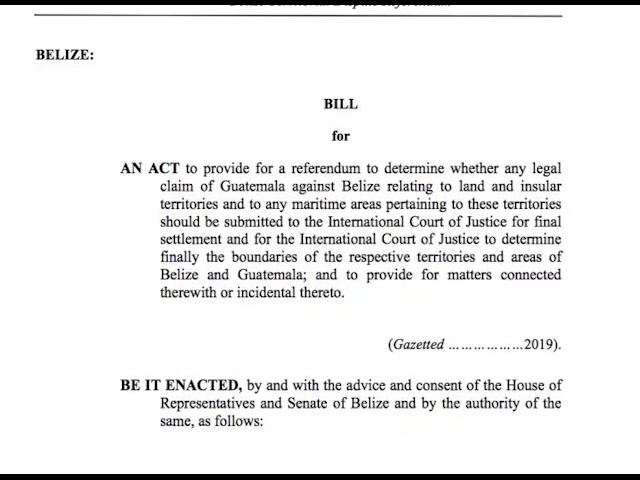 In what is expected to be a critical Sitting of the House of Representative on Friday, the Barrow administration is proposing to table the Belize Territorial Dispute Referendum Bill, 2019. The portion of the bill was leaked to the media on Wednesday night and this morning the Opposition People’s United Party received the complete document. The bill sets out the legal pathway for the Government to proceed with the referendum. 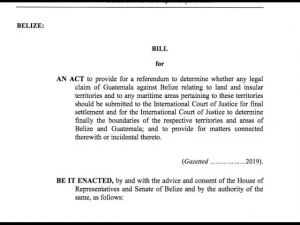 According to the bill, the Prime Minister “shall, in writing, request that the Governor-General issue a Writ of Referendum in accordance with section five”. The Governor General then “shall, within five days of receiving a request under” issue a Writ of Referendum to the returning officers of the electoral divisions of Belize. The date for the holding of the referendum will be appointed so the electorate can decide whether the dispute shall be submitted to the I.C.J. for final determination. This afternoon the People’s United Party held its parliamentary caucus ahead of Friday’s House Sitting to discuss the proposed bill. Leader John Briceño questioned the government’s rush to pass a new referendum bill.